The firm was established in Swindon, Wiltshire in October 1985 when three friends met in a café and decided to create “Carter Govier Read”. Stephen Dove joined the firm in 1988. Chris Govier left in 1992. The firm was then re-branded “Carter Read & Dove Solicitors". Since the firm was established, it has developed into a specialist practice, providing services to both private and commercial clients. We are a two Partner firm with an Associate Solicitor, a qualified Legal Cashier and four support staff. The firm is fully commited to using IT to help maintain an efficient office and encourage the use of emails wherever possible. Using our integrated computerised client information database, we endeavour to keep clients fully informed on the progress of their files. 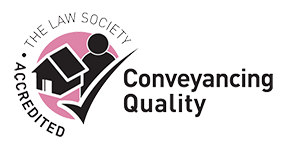 Our Residential Conveyancing Department makes full use of the internet with online search companies and the Land Registry, enabling us to cut down search times and help to speed up the process of moving in the majority of cases.